NARCISSIST (Trailer) from Eric Casaccio on Vimeo. During recovery, a beautiful friendship began, and that dear friend said something that will never be forgotten; “Things don’t always happen the way we want them to, but they always happen right on time." A year later, I came up with this morsel of wisdom; “Without pain, there is never any strength, and without strength, there is nothing ever accomplished or learned. Live. Learn. Grow. Love. Peace! For Eric Casaccio, art imitated life when it came to making "Narcissist," a short, compelling film that explores the devastating aftermath of a relationship with a narcissist. Years before Casaccio wrote, directed, and produced the film; he also experienced a brief narcissistic romance that led him on a similar journey as the film’s main character, in search of answers and healing. “Sometimes you have to go through darkness to find a true authentic light” became the overall theme of the movie” according to Casaccio, whose inspiration for the film stemmed from how the "online community of narcissistic abuse survivors each had a different story, but everyone felt the same—devalued, discarded and stuck with an empty, horrible feeling to deal with” Casaccio added. In 2013, after spending a year in the healing process, Casaccio began raising awareness and money to fund his vision and share his message. “I wanted anyone who had been affected by a narcissist to know they are not alone!” said Casaccio. Within one month, Casaccio surpassed his fundraising goal, and only a year later in April 2014, “Narcissist” premiered in Boston, Massachusetts. Since then, “Narcissist” has appeared in 55+ film festivals around the world garnering several awards, positive reviews and critical recognition in The Huffington Post and NBC 6 in the Mix. One of Casaccio’s hopes is that his film will be instrumental in helping narcissistic abuse to be taken more seriously. 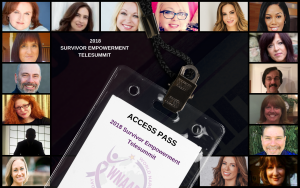 “The commonalities among the experiences of survivors along with the estimated total of 158 million people impacted by these relationships demonstrates that narcissistic abuse may be the biggest problem of our world within relationships, colleagues, friendships, family and even politics,” said Casaccio. 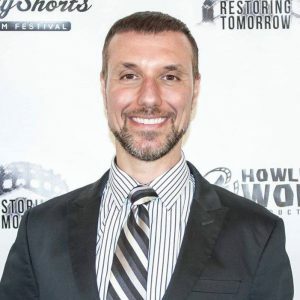 During the film’s festival tour, several enlightening one-on-one and group discussions about narcissistic abuse led to the suggestion that Casaccio professionally pursue a path of inspiring others. 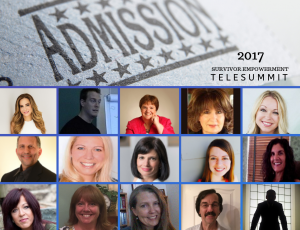 Soon after, Casaccio added the title Certified Life Coach to his list of achievements and created his coaching practice, Now Your Life. Not only is he making an impact by creatively shining the camera on abusive relationships where there are no bruises and broken bones, but he’s also empowering people worldwide via Skype/Zoom/phone who are in narcissistic situations. Casaccio's said his ultimate goal is, "to bring clients back to their true authentic selves so they can lead outstanding lives on their own." "Life coaching is not healing but healing can happen along the coaching journey" he added. WNAAD is looking to feature people who are using their voice, talent, and creativity to raise awareness about narcissistic abuse. If you would like to be considered for our Spotlight section, click here.